Feature Walls create interest while allowing the wall to show thru. "Stellar's Jay entrance" was created for a private home north of Pemberton/Whistler. 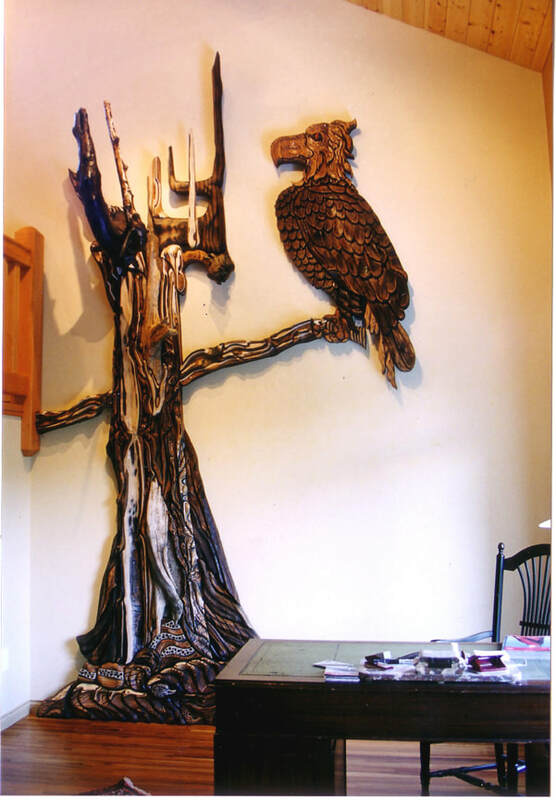 "Mountain Eagle" wall was created for a private home in Pemberton, BC.